The head of the independent agency that facilitates treaty negotiations between Canada, B.C., and First Nations in the province says at least eight of 33 bands could be nearing agreements next year. Celeste Haldane, the BC Treaty Commission's acting chief commissioner, says 65 First Nations representing over half the bands in the province are participating in or have completed the treaty process. However, only eight bands have reached agreements since 2007, when the Tsawwassen First Nation ratified a deal that meant it was no longer subject to the federal Indian Act. The treaty more than doubled the size of the Tsawwassen reserve south of Vancouver and provided members with millions of dollars in economic benefits that allowed it to develop its land, which includes a mall that opened this month showcasing indigenous art. The latest agreement for the independent treaty commission came earlier this year. 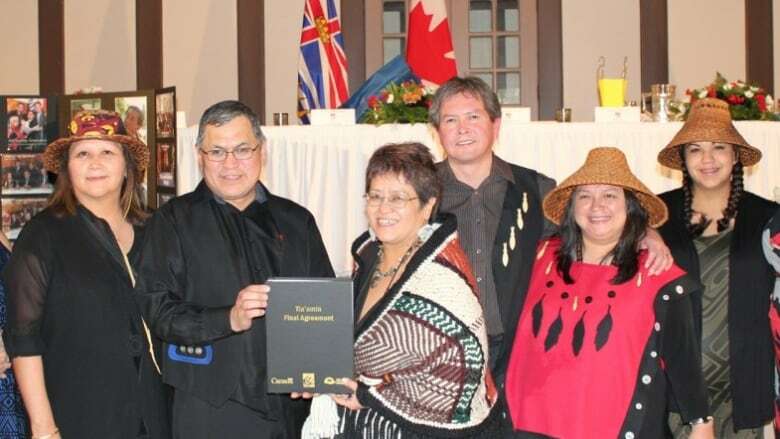 The Nisga'a agreement in 2000 was the country's first modern-day treaty and has served as a blueprint for the commission, but it was negotiated through a separate process. Haldane says future negotiations are expected to be speedier because of a new agreement endorsed in May by the federal and B.C. governments and the commission to expedite the process with set time frames for the latter stages of the treaty process. She says she hopes next year's provincial election will not affect the ongoing treaty process for First Nations moving through the six-stage process. "We're seeing a bulk of work happening right now in regards to getting these nations to milestones," she says. "There's definitely a renewed commitment to ensuring that treaty negotiations are successful." Haldane has been acting as commissioner since April 2015 and said the agency, which was created in 1993, needs a leader at the helm. Former Liberal cabinet minister George Abbott was set to take on the job but Premier Christy Clark and her cabinet cancelled his appointment. The Aboriginal Relations and Reconciliation Ministry said the selection of a chief commissioner involves input from the federal and provincial governments, as well as the First Nations Summit. It says in a statement it is also working with Ottawa and the summit to "clarify the role of the BC Treaty Commission to help ensure it continues to play an important role in achieving treaties." "This will help inform the next chief commissioner's work," the ministry says, adding that potential candidates are being identified.